As we celebrate women from across the world for their individual and collective contributions and accomplishments, one thing that stands tall is the emergence of women leaders in various sectors such as business, governance, politics, entertainment and media across Africa. With the global theme for 2019 as Balance for Better, it is prudent we get to celebrate & learn from the lives of African women who have achieved outstanding milestones in their careers and have become a beacon of hope and role models for the next generation. From humble beginnings in the Banking, Technology, Mining & Taxation sectors, these women have established a sterling career which affords them the opportunity to lead various multinational organisations in discharging exceptional results with a remarkable combined working experience which sums up to about 100 years. 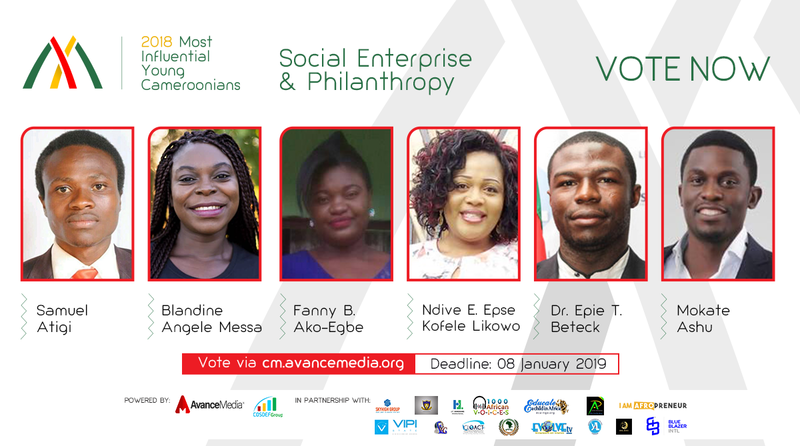 In celebration of these Ghanaian women, I am delighted to write about these 5 game changers and change agents who beyond their official duties also commit their time, energy and personal resources in supporting individuals & communities through various mentoring programmes & foundations. As the first female Country General Manager of IBM in Africa, Angela has distinguished herself among business leaders who have led Fortune 100 companies across the African continent to an incredible performance in business amidst competition. As a seasoned marketer with over 18 years’ experience in marketing and sales, she is noted to have pioneered some of the largest deals in both West and East Africa for IBM. 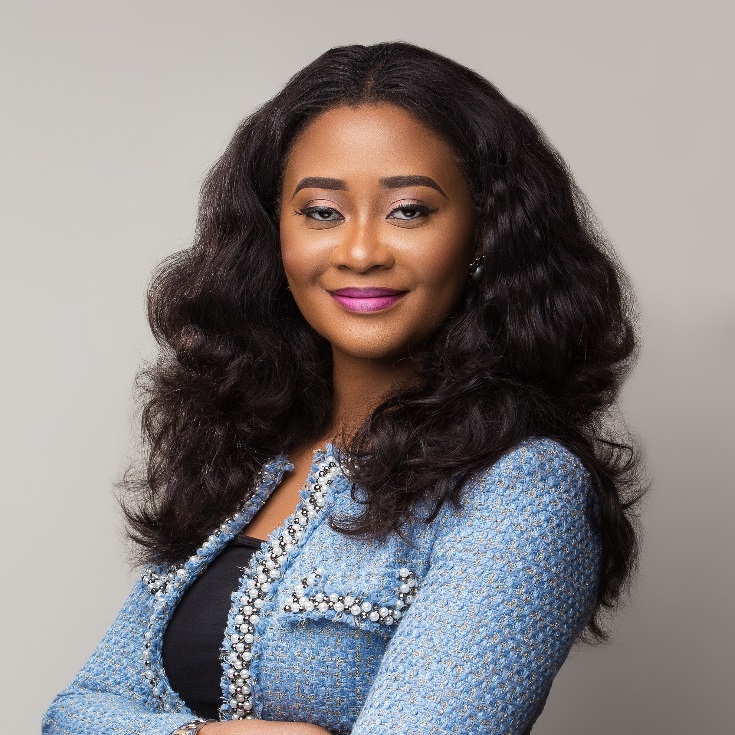 Before joining IBM, Angela started her career in London at GL Trade, later moved to ABN AMRO Futures and Options, UBS Investment Bank before returning to Africa to work with UBA Bank Ghana and GT Bank Ghana. With multiple renowned international awards to her credit, Angela is noted as one of the top corporate women leaders in Ghana. As a philanthropist, Angela adopted Siti, a remote community in the Eastern Region in Ghana where she has built a borehole, currently working on a solar-enabled electricity project and has plans to build a nursery school. As a thought leader and mentor to several university students, Angela serves as a keynote speaker at various events across Ghana and also runs a special weekly coding class for young girls from the Nima community in Accra. Angela is a graduate of Harvard Business School in Leadership Development, holds an MSc in International Business, BA in Marketing and French and a product of Achimota College and Wesley Girls High School in Ghana. 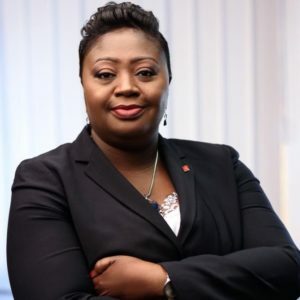 With enormous experience in retail banking and marketing, Mrs Bawuah had previously worked as an Executive Director at Zenith Bank as well as a Business Financial Manager at Standard Chartered Bank, Deputy MD and later MD/CEO of UBA Ghana. 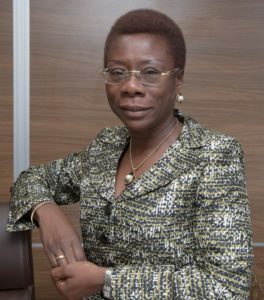 As an alumnus of the Harvard Business School, Columbia, University of New York, INSEAD and Institut Villa Pierrefeu in Switzerland, Mrs Bawuah also holds a BSc in Actuarial Science from the University of Lagos, Nigeria, an LLB with honors from the University of London, a diploma in Marketing from GIMPA and an EMBA (Finance) from the University of Ghana. As a regular speaker at mentoring events, Mrs Bawuah is also the founder of the Abiola Bawuah Foundation through which she supports girls under the 100 Girls Support Project. She has also committed a 100,000 Cedis fund towards the publication of books under the foundation. Adjudged as the PR Personality of the year 2017, Adiki Ofeibea Ayitevie is the Vice President in charge of Sustainability and External Relations at Newmont Africa. With more than 22 years of combined experience in the public relations and journalism fields, Ms. Ayitevie is an accomplished and well-respected communications professional. Her current role makes her an overseer of Communications and External Relations of Newmont Mining’s Africa operations. 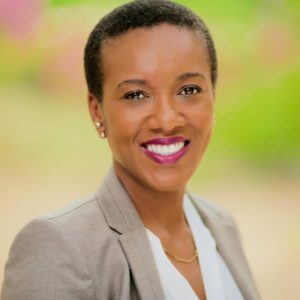 Prior to joining Newmont, she has worked with the Public Agenda, SGSSB Limited, Volta River Authority and as a private consultant to a range of non-government and private organizations in Ghana. Adiki is also a mentor to a lot of PR professionals and as a thought leader, is a keynote speaker and resource person at diverse programmes across the continent. Ayesha Bedwei is a Partner in PwC Ghana with specialisation in Tax advisory services. Her role in PwC extends to the areas of Corporate Responsibility and Diversity & Inclusion, Energy and Learning & Education. With over 18 years’ experience in the finance and accounting field, Ayesha has been involved in a wide array of projects and has built up a network of influential clients and associates during her professional career. Ayesha is a regular keynote speaker at various tax and regulatory focused forums covering several African territories and is also passionate about topics of leadership and career development. As a passionate change agent, she founded a career advisory blog, careers1825.com which is targeted at people between the ages of 18 and 25 and 5taxminutes.com, which discusses tax matters in an easy-to-understand format. With multiple awards to her credit, Ayesha is a member of the prestigious African Leadership Network (ALN) and has been on the judging panel for ALN’s Africa Awards for Entrepreneurship. 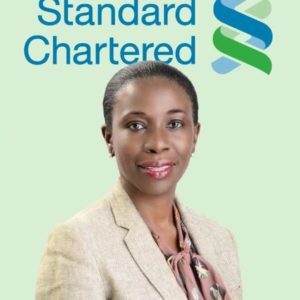 As the first female CEO of Standard Chartered Bank in Ghana, Mansa Nettey graduated as a pharmacist from KNUST before furthering her studies at the Manchester Business School. With over 20 years’ experience in the Banking Sector, Mansa sits on the Board of Directors at Standard Chartered Bank Nigeria Limited and the Standard Chartered Bank Ghana Limited. Notable among her philanthropic commitments is the founding of the Leukemia Project Foundation, an initiative she started after battling with leukemia. Through her foundation, she has organised various activities which have created public awareness and has been used as an avenue to raise funds. Authored by Prince Akpah, MD of Avance Media & Founder of Be A Girl initiative. 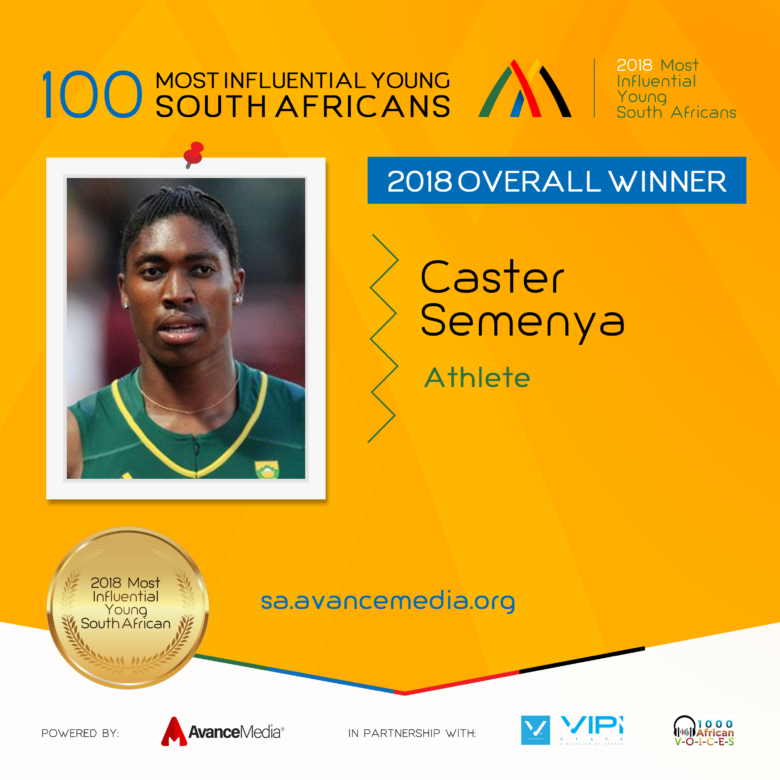 South African Olympic Gold medallist and athlete, Caster Semenya has been voted the 2018 Most Influential Young South African in the 3rd edition of the annual ranking poll by international rating firm, Avance Media in partnership with 1000 African Voices & VIPI State. Caster who was nominated in the sports category for her outstanding achievements in athletics across the globe got her massive endorsement after winning a heavily contested poll among 100 most influential young South Africans nominated across 10 different categories. Caster, a global champion and middle distance runner began her career in 2008 by winning gold in the World Junior Championship and Commonwealth Youth Games. She has since continued to excel in her career making also making her one of the most important female athlete on the African continent. The ranking which was launched by Avance Media in 2016 has been won by Comedian & TV Personality Trevor Noah (2016) and Spokesperson of Economic Freedom Fighters, Dr. Mbuyiseni Ndlozi (2017) making Caster Semenya the first woman to be awarded the coveted title as the Most Influential Young South African for 2018. 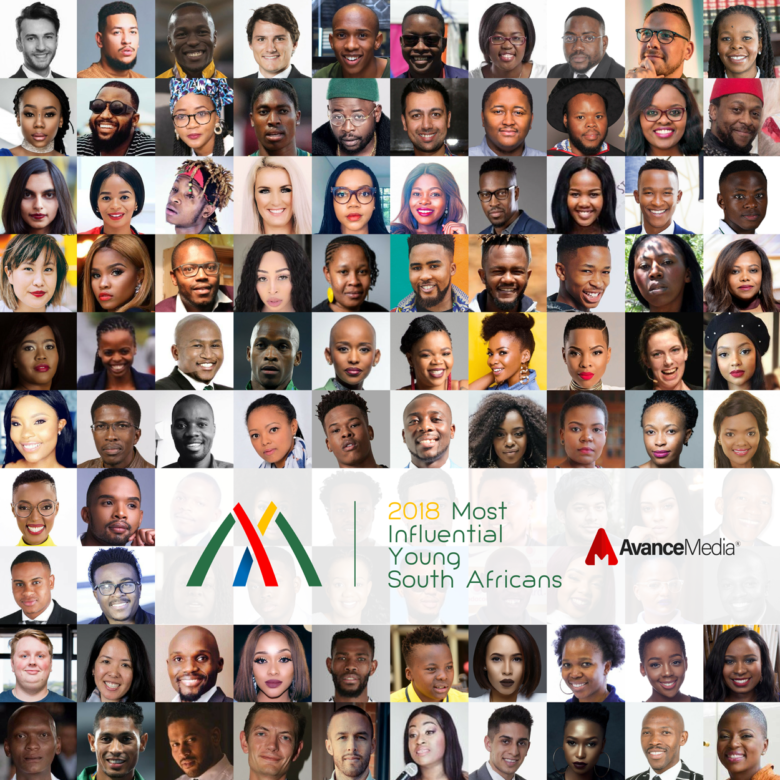 Following keenly in the 2018 ranking are: 2018 winner Dr. Mbuyiseni Ndlozi, Nomzamo Mbatha, Brent Lindeque and Zincedile Tiya who were voted among the top 5 most influential young South Africans. Sharing insights about this year’s polls, Prince Akpah, MD of Avance Media mentioned; the ranking was instituted to highlight the works of young South Africans who are contributing in diverse ways towards the advancement of development in South Africa and across Africa. 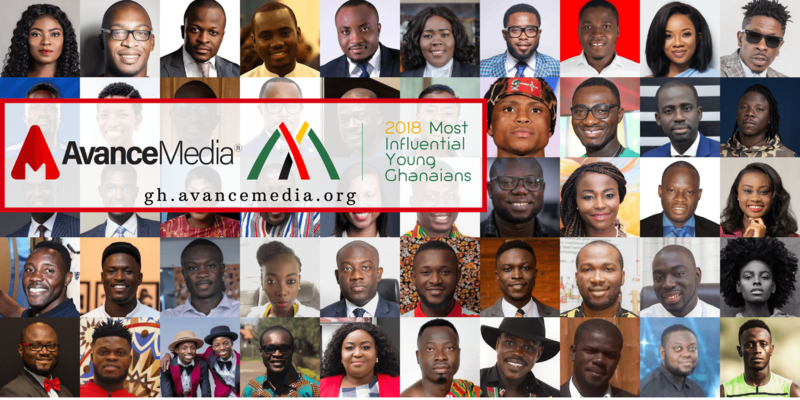 Avance Media also runs the same initiative in Kenya, Nigeria, Tanzania, DR Congo, Ghana & Cameroon in partnership with various organisations and is expected to release a global ranking in 2019. 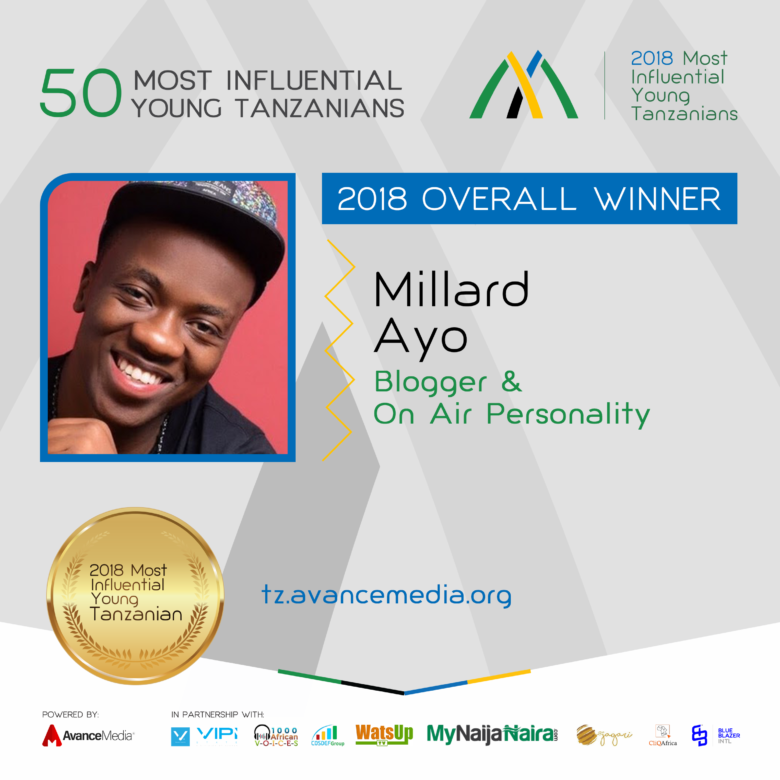 Blogger & On Air Personality, Millard Ayo has been voted the 2018 Most Influential Young Tanzanian in the 2nd edition of the annual ranking poll by international rating firm, Avance Media. 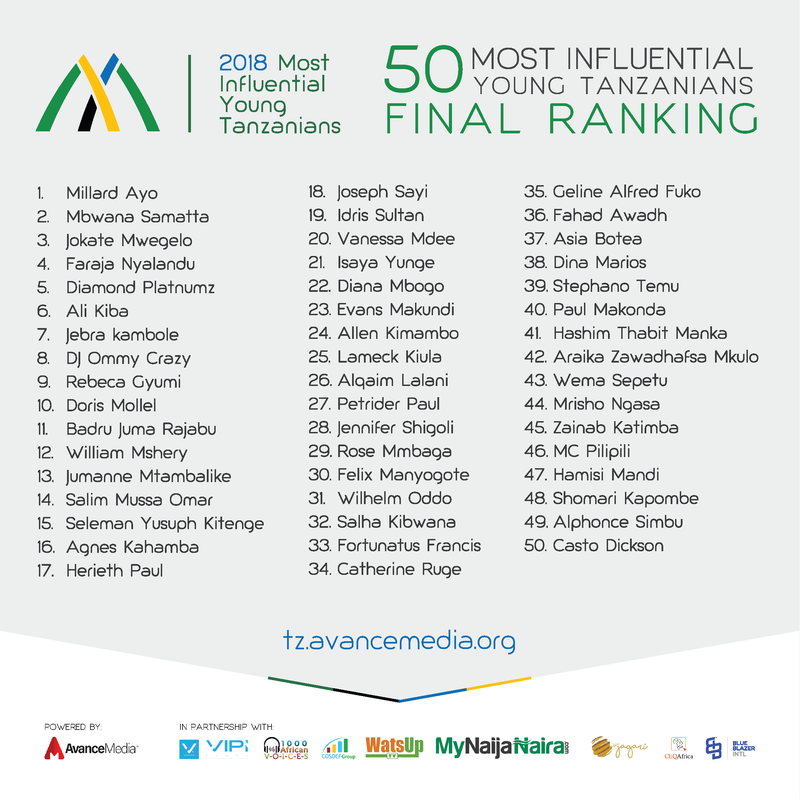 Millard Ayo was nominated in the Media category whiles he amassed the endorsement from voters who participated in the 2018 polls of the 50 Most Influential Young Tanzanians. Millard Ayo is the founder of AYO TV and Millardayo.com, Tanzania’s most recognized, trusted and reliable digital media company with the biggest social media following and the largest online audience in Tanzania. Millard also works with Clouds FM Tanzania as on air personality. 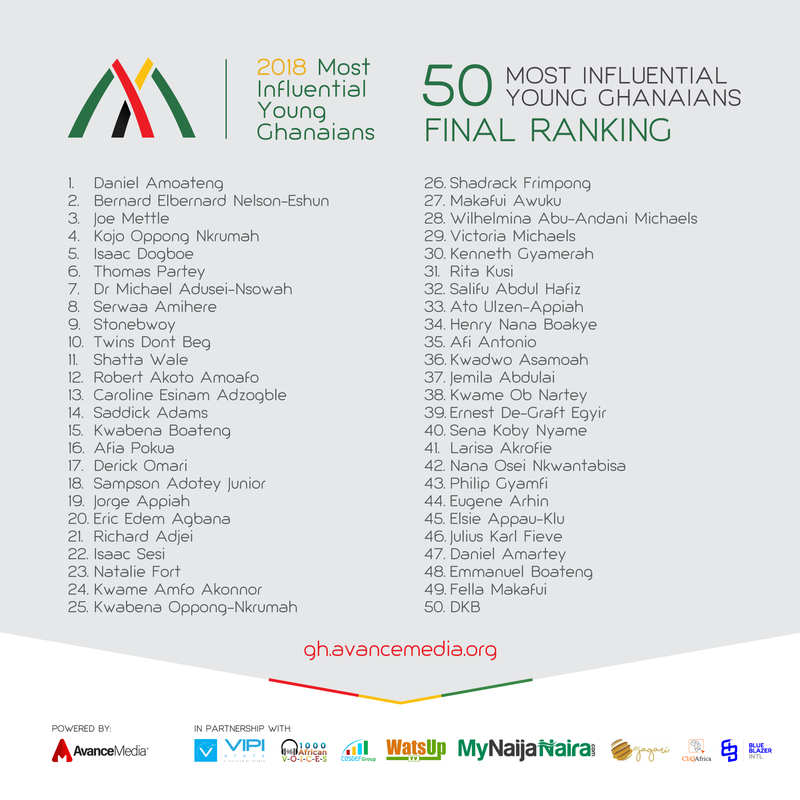 The ranking which was launched in 2017 by Avance Media had footballer, Mbwana Samatta being voted the 2017 Most Influential Young Tanzanian. 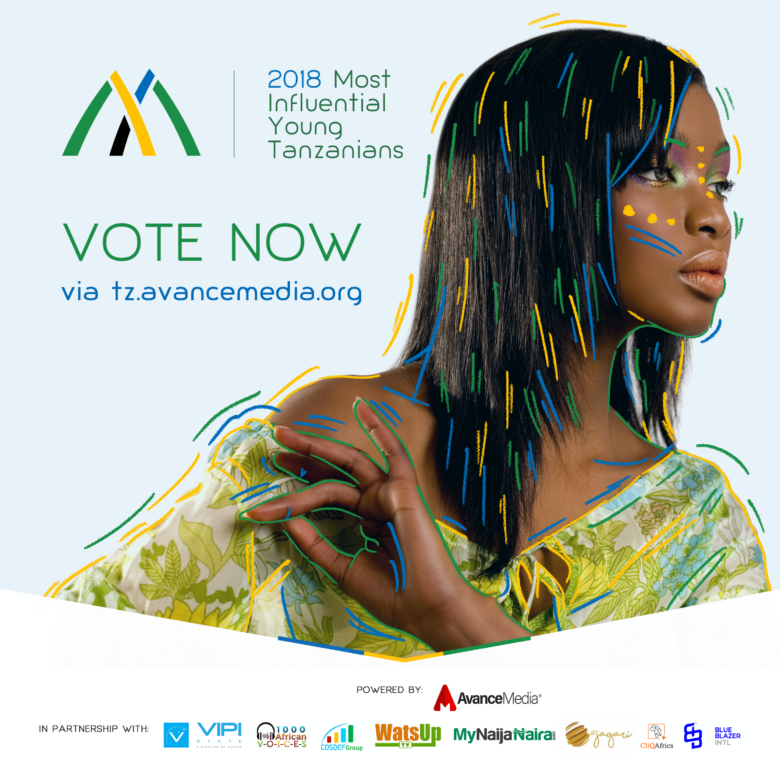 Following keenly in the 2018 ranking are: last year’s winner, Mbwana Samatta (Footballer), Jokate Mwegelo (District Commissioner), Faraja Nyalandu (Shule Direct) and Diamond Platnumz (Musician) who were voted among the top 5 most influential young Tanzanians. District Commissioner for Kisarawe, Jokate Mwegelo who was nominated in the Law & Governance category also got the nod as the leading woman on the list crowning her feat as the 2017 Most Influential Young Tanzanian woman. Sharing insights about the 2018 year’s polls, Prince Akpah, MD of Avance Media mentioned; the ranking was instituted to highlight the works of young Tanzanians who are contributing in diverse ways towards the advancement of development in Tanzania and across Africa. 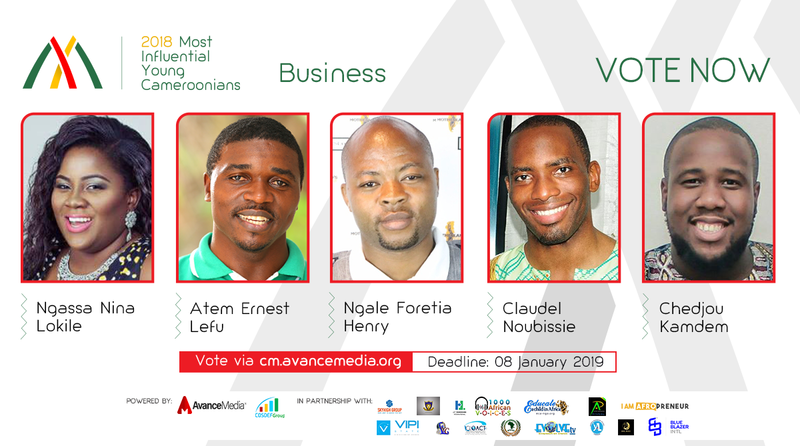 Avance Media also runs same initiative in Kenya, South Africa, Nigeria, DR Congo, Ghana & Cameroon in partnership with various organisations and is expected to release a global ranking in 2019. 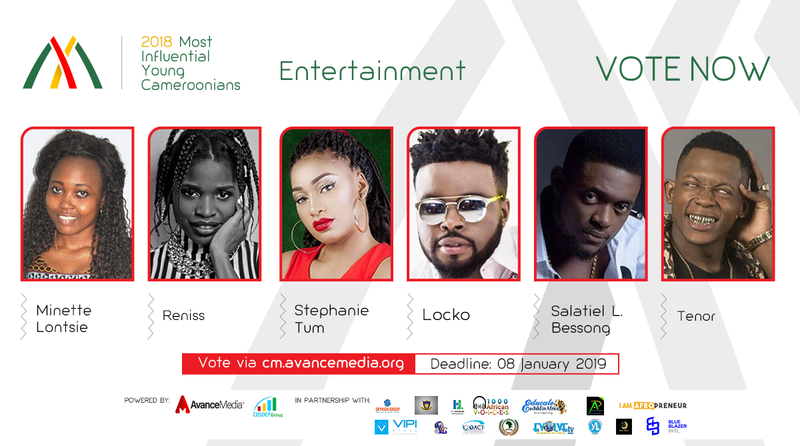 Public voting has officially commenced via their sa.avancemedia.org website to determine a Category Winner for each category and Overall Winner. Previously the ranking which was launched in 2016 has been won by Comedian and TV Personality Trevor Noah (2016) and Spokesperson of Economic Freedom Fighters, Dr. Mbuyiseni Ndlozi (2017) who were voted as the Most Influential Young South Africans in their respective years. Some notable personalities in 2018’s nominations include: AKA, Cassper Nyovest, DJ Maphorisa, Caster Semenya, Akani Simbine, Chante Jantjies, Percy Tau, Sophie Kanza to mention a few. 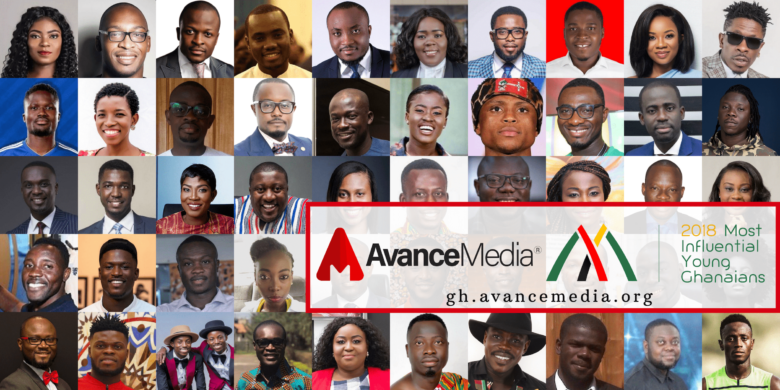 After launching the initiative in Ghana in 2015, Avance Media has been able to partner various organisations across Africa to extend the ranking to Cameroon, Nigeria, South Africa, Kenya, Tanzania and DR Congo, with a global ranking announcement expected in 2019. For more information, kindly contact our Media Liaison Zandile Sithole at (+27) 62 822 1161 or Jones Maleka at (+27) 84 396 5725. 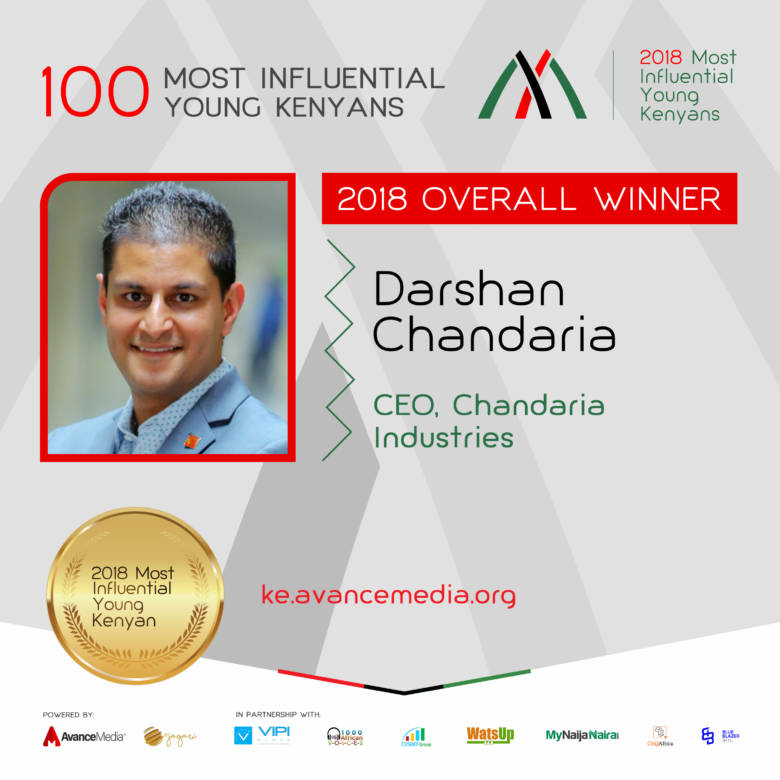 Group CEO & Shareholder of Chandaria Industries, Darshan Chandaria has been voted the 2018 Most Influential Young Kenyan in the 2nd edition of the annual ranking poll led by international PR & rating firm, Avance Media & Jagari Designs. Darshan Chandaria who was nominated in the Business category for his exploits in the world of business in Kenya & East Africa got this prestigious endorsement after beating competition from other deserving 99 influential young Kenyans from other sectors to cling the reputable title among young Kenyans. The multiple award-winning entrepreneur, Darshan Chandaria leads the largest privately owned business group in East & Central Africa which deals in Tissue, Paper, Hygiene Products, Real Estate, and Venture Capitalism. He is an alumnus of the Cardiff University and Harvard Business School. 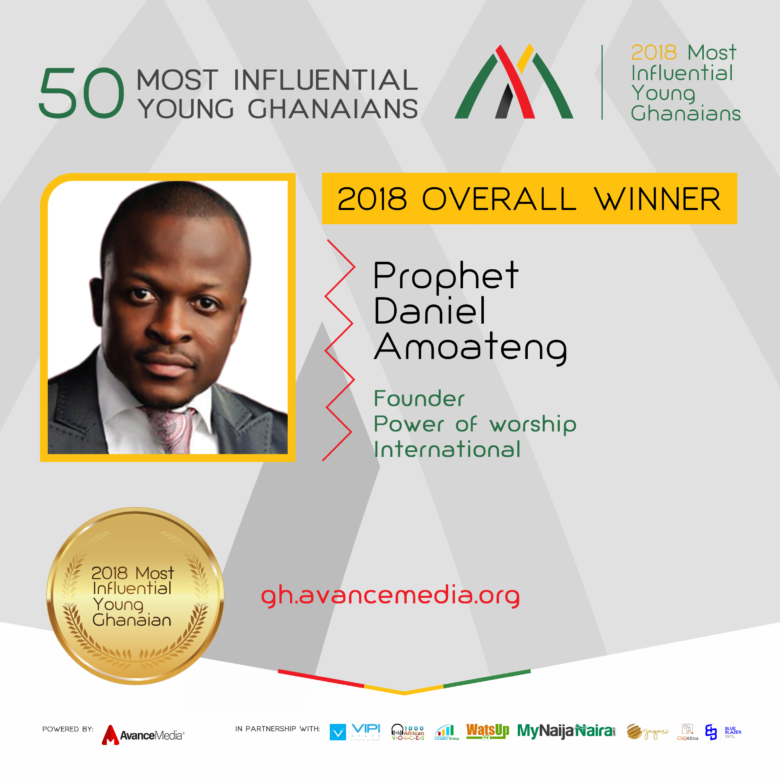 The ranking which was launched in 2016 was won by Comedian & TV Personality Dan Churchill Ndambuki voted as the 2016 Most Influential Young Kenyan. 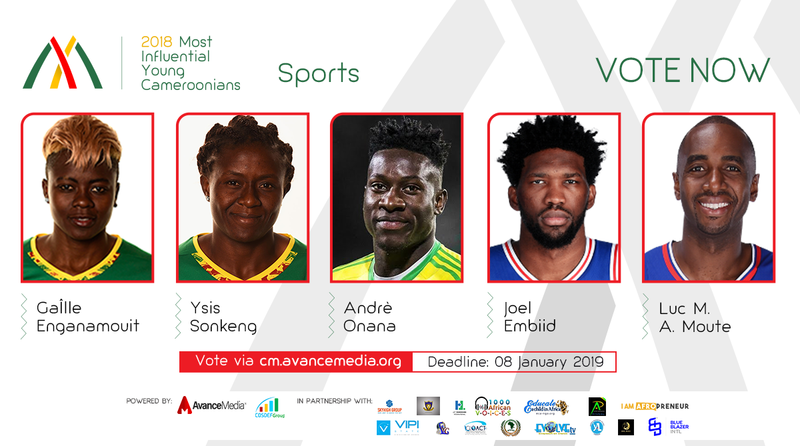 Following keenly in the ranking are: Comedian, Njugush, Footballer, Victor Wanyama, CEO of TALA, Rose Wanjiku Muturi and Youth Advocate, Raphael Obonyo who were voted among the top 5 most influential young Kenyans. East Africa Managing Director of TALA, Rose Wanjiku Muturi who got the 4th position also got the nod as the 2018 Most Influential Young Kenyan woman during the poll. CEO of Jagari Designs, Janerose Gatobu, mentioned that in honour of the victims of the recent Riverside Attack, the list decided to honour them with the 100th position on the list to reflect the sacrifices they made for the country. 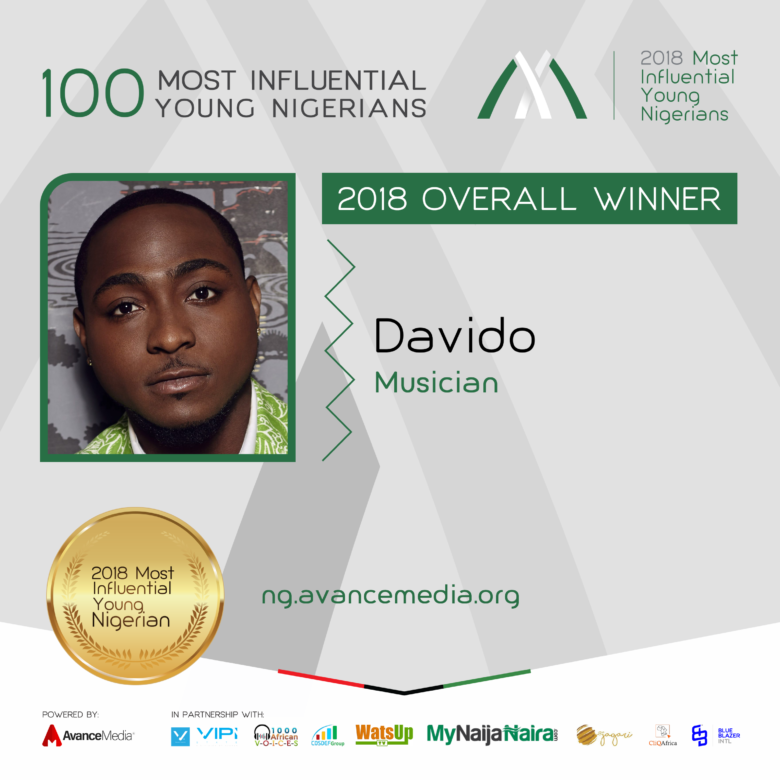 Avance Media also runs same initiative in Nigeria, South Africa, Tanzania, DR Congo, Ghana & Cameroon in partnership with various organisations and is expected to release a global ranking in 2019. 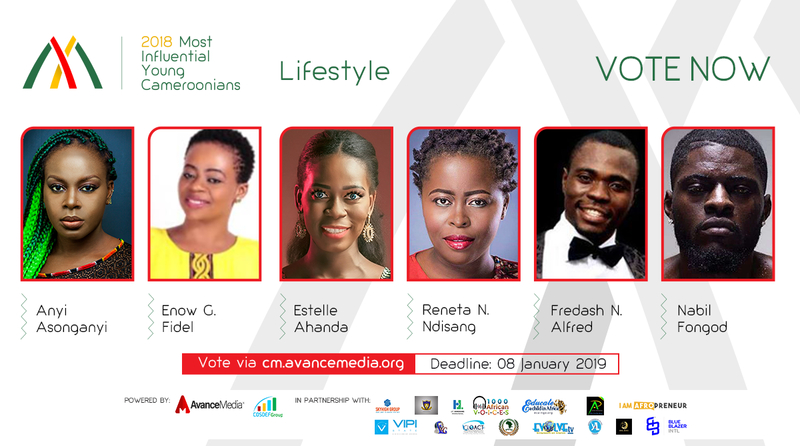 Leading African PR & rating agency, Avance Media and COSDEF Group have announced finalists for the 3rd edition of its prestigious annual ranking focused on young people dubbed: 50 Most Influential Young Cameroonians. 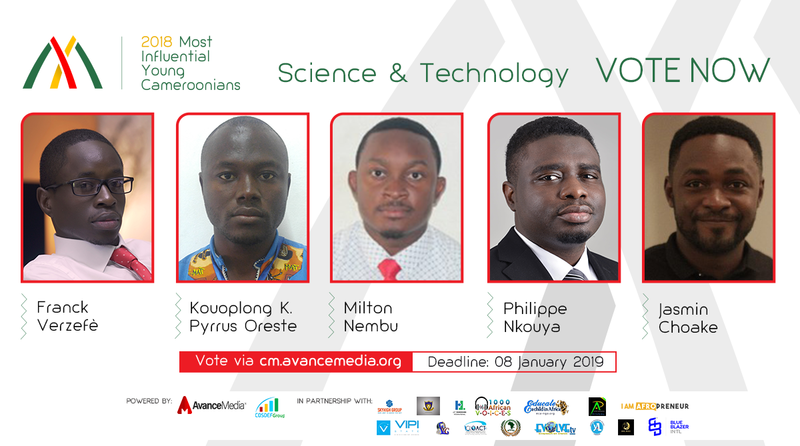 Speaking about this year’s nominees, Prince Akpah, MD of Avance Media noted this year’s list features young people who have made remarkable contributions towards their respective fields which has extended impact to other young people across Cameroon and beyond. 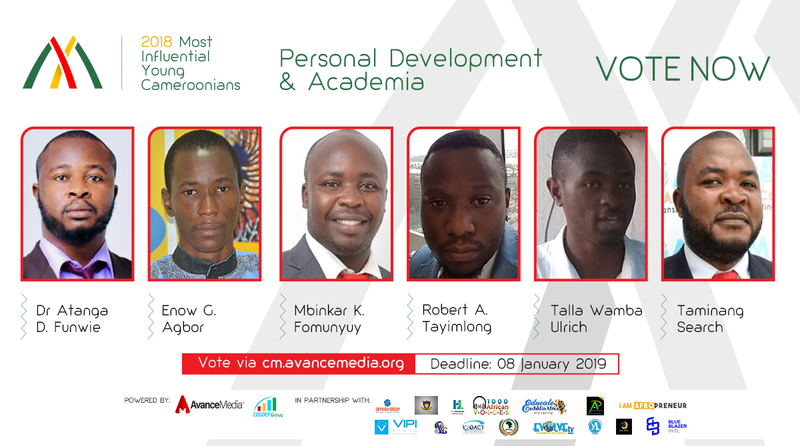 In an interaction with the CEO of COSDEF Group and COO of the 50 Most Influential Young Cameroonians initiative, Joybert Javnyuy, he congratulated the nominees selected from over 1400 nominees and mentioned that this edition’s award ceremony and gala would be hosted in Douala in January 2019 and the event would present a great platform for networking to discuss the advancement of youth empowerment activities across Cameroon. 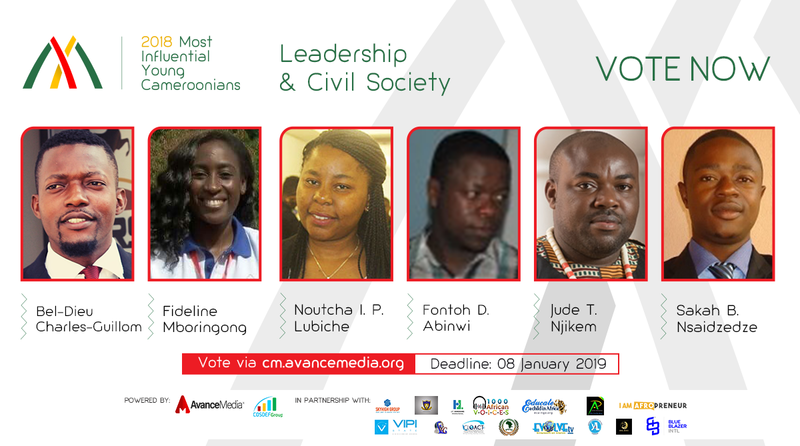 This year’s nominees were selected across 9 categories which was focused on key sectors with active youth participation in Cameroon. 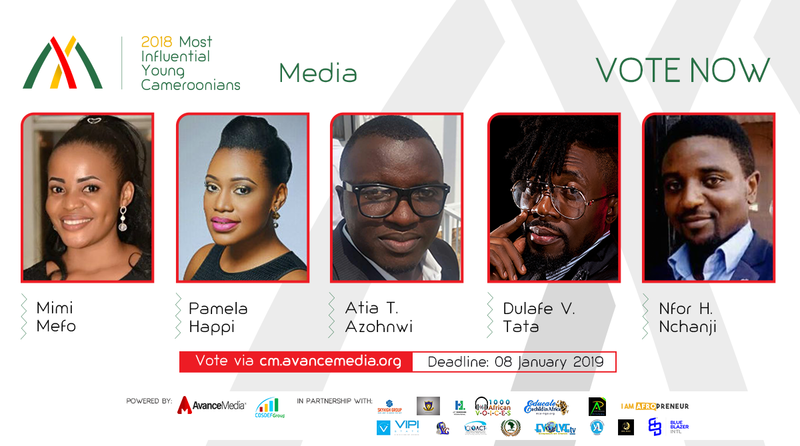 Public voting has commenced on cm.avancemedia.org and that would be used to determine the influence of nominees in their categories and in the overall ranking to be announced at the award ceremony & gala. Voting is expected to end on January 9th 2019.